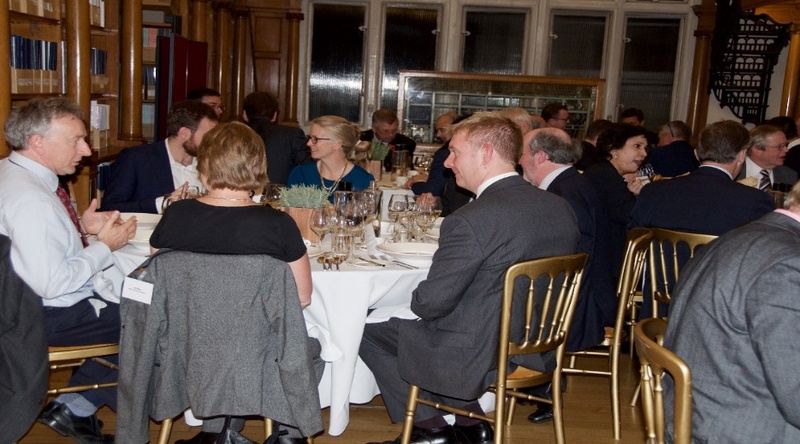 The venue for the dinner has been witness to the pride and success of mechanical engineering since the nineteenth century. Sir Henry Bessemer became a member of the Institute in July 1861 when he gave his address as the Bessemer Steel Works, Carlisle Street, Sheffield, which is where he had established his steel works around 1859. 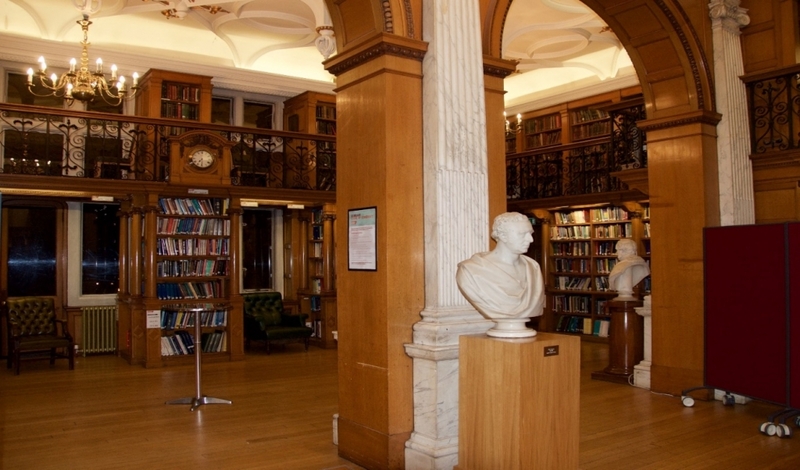 The current IMechE building was opened in 1899, the year after Sir Henry Bessemer’s death. When his name was removed from the registrar he was still using the Carlisle Street address even though he had sold his shares in his steel works some time before. Bessemer himself lived in London (buried in Highgate Ceremony). There was a moment of inward panic when the Self-Intro section was coming to an end and our Presenter of the Lifetime Award, Lord Willetts, who was expected to make the presentation straight after, had yet to arrive, possibly detained by parliamentary business. Keeping me on tenterhooks, he made a dramatically timed entry just as the decision to delay the Award until the end of Dinner was being considered privately by myself! He was perfectly composed and went on to give a most excellent commendation of the Lifetime Award and of Gordon Sanghera, its worthy recipient. Gordon is the co-founder of Oxford Nanopore, which emerged from the research labs of Professor Hagan Bayley at Oxford University in 2005. Previously he had been in charge of R&D at Oxford spinout, Medisense Ltd. Following its acquisition in 1996 by Abbott Laboratories he held both UK and US VP and Director-level positions, including VP World Wide Marketing, Research Director and Manufacturing Process Development Director. In his powerful talk Gordon described how his experience at Medisense and Abbott taught him to make sure that Oxford Nanopore must control its IP, which he set out to do by an aggressive university collaboration strategy that involved entering into license agreements with every significant genomic research institute around the world. His co-founder, Professor Bayley, was initially unhappy that Oxford University was no longer the central source of IP, but the result of the strategy is that Oxford Nanopore now own the field, and anyone who wants to develop a hand held DNA profiler must work through them says Gordon. The aggressive determination to control the IP struck me as ‘Silicon Valley-esque’ – Gordon won’t be a hostage to fortune. The acquisition of Medisense in 1996 taught him not to let go too soon. Abbott Laboratories paid what seemed a very large sum of $876mil to own the company, but this is a fraction of the value that has since accrued to it. Similarly, the DNA sequencing innovator, Solexa, a spin out from Cambridge University, was acquired by Illumina Inc of the USA in 2006 for around $600mil which is a fraction of its current value to the company. The co-founders were pleased with such a fantastic valuation but what a loss it turned out for the UK argued Gordon. Oxford Nanopore may be a pathfinder and model for what the government wants to achieve in the Life Sciences sector, which is to see several £20bn turnover companies established. This will be a poke in the eye to Boston and Silicon Valley whose companies won’t be able to buy and commercialise on the cheap. Partly for this reason, Gordon calls himself a big fan of the patient capital model and of the Oxford Sciences Innovation Fund in particular, which is targeting long term returns beyond the development stages (and the inevitable early sale) by funding the commercialisation and growth stages as well. He also learnt at Abbott how large American corporates will make investment decisions based on short term accounting expedients. He had to defend no less than four times a proposal to move the manufacturing of disposable sensors for Medisense’s blood glucose monitor from the UK to Ireland. As of now the manufacturing continues to operate efficiently in Wilton, employing a large workforce, proving that manufacturing can be carried out in the UK. At Nanopore he is determined not to release control and give away the value to suit a short term financial agenda. All of which makes Gordon ‘one of us’ at Bessemer – a member for LIFE, and a great AMBASSADOR for what we believe in! 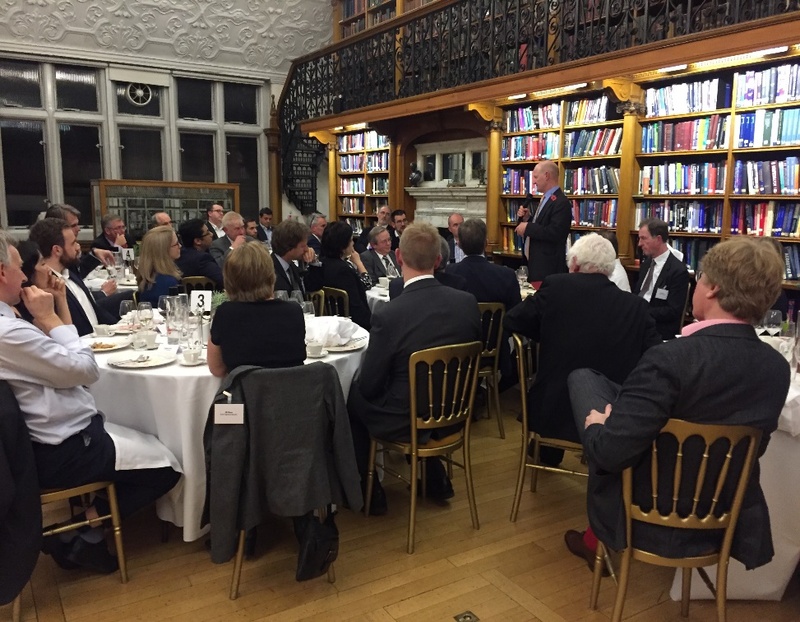 During dinner we enjoyed an intermission for a talk by Dr Chris Elliot, head of new product development and planning at Tata Steel Europe. Chris gave a terrific talk at our 2016 AGM, connecting Bessemer’s natural inventiveness and business acumen with the challenges and demands of innovation today. For his 2017 talk he introduced us to how Bessemer in the 1850s had proposed a method for casting steel between two rollers, which is only now entering commercial production, centuries rather than years later! The new method, called Castrip, requires a fraction of the area to manufacture steel and is highly energy efficient. As a result it might be possible to install it inside a large car plant, creating a highly integrated supply chain – and a further opportunity for home grown production. We hope Chris will make it an annual tradition to link Bessemer’s legacy to us today. 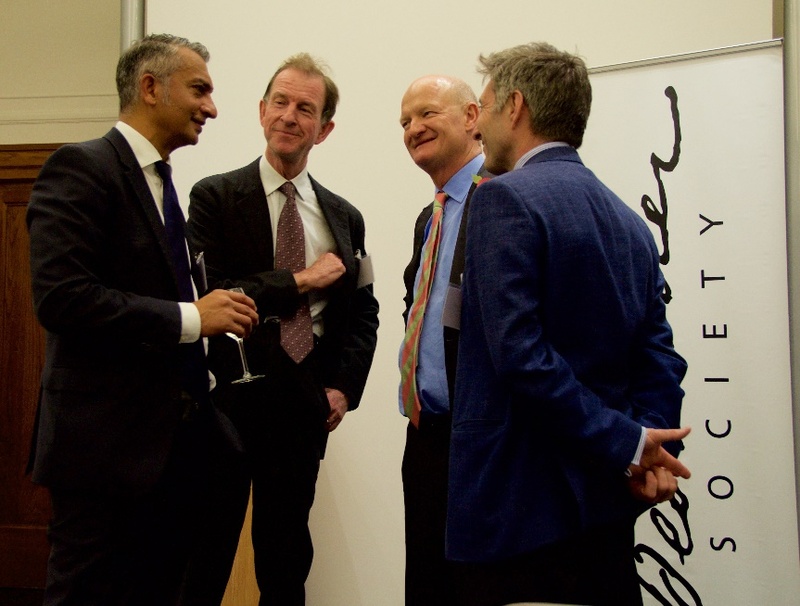 David, Lord Willetts, was made a Life Peer in 2015, having or many years served as the MP for Havant. He was a very successful Minister of State for Universities and Science during the Coalition Government (2010-2014). I would like to think he was relishing the opportunity to speak to us, for at least two reasons. One: he is committed to establishing a long-term, patient capital fund, which will invest in revolutionary science and technology ideas of the kind many of our members are developing; two: his latest book is about to be launched covering university education and its role in preparing young people, not least for careers in science related fields. 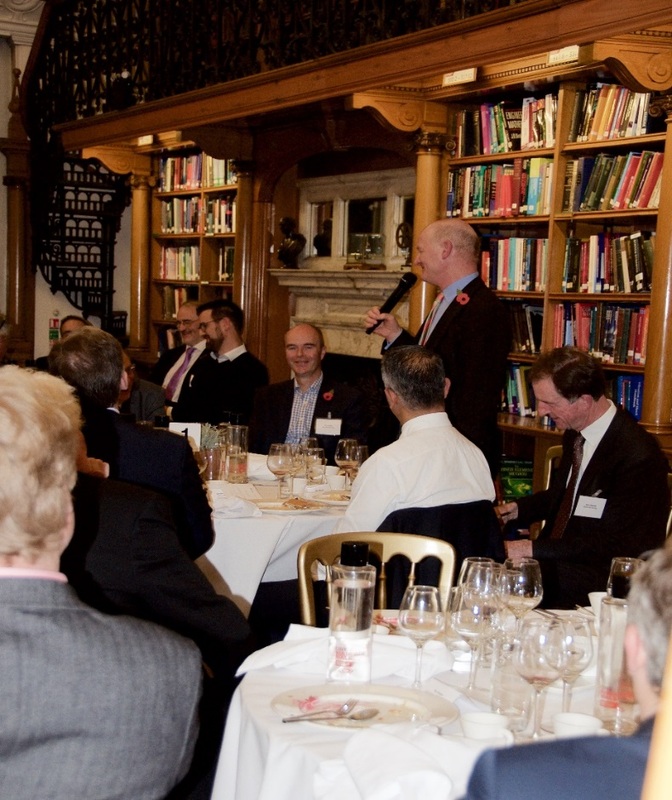 Lord Willetts engaging guests, Dr Chris Elliot of Tata Steel is seated to his right. David endorsed the current focus on an industrial strategy, including the work done by Lord Mandelson and Vince Cable during their terms in office. 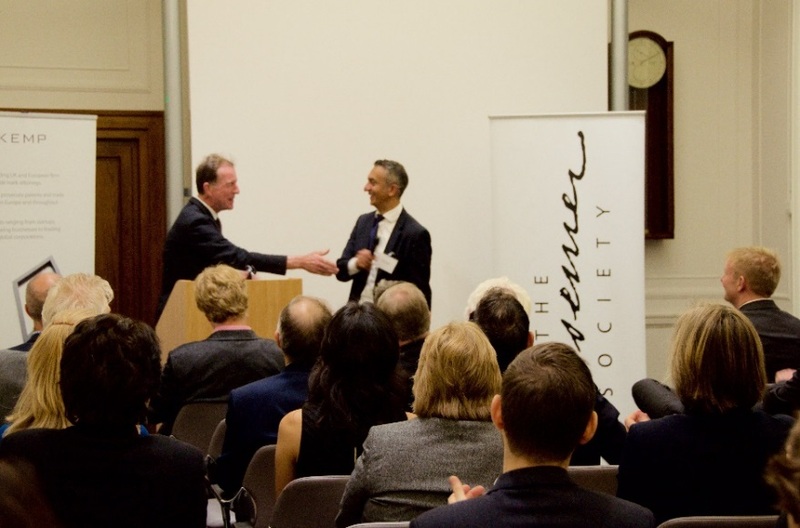 He noted that the Treasury’s Review of Patient Capital is due to be published shortly which should be particularly pertinent to the members of the Bessemer Society, as they tend to be excluded by venture capital investors who prefer quick, low burn, software app situations. Align government support with successful export industries – for example, after cars the second largest export earner is English Education Services. “Place” is especially important to Greg Clark, the Minister for Business, Energy and Industrial Strategy, who is a north easterner. It is recognised now for example that improving transport infrastructure in a locality that has a declining population can encourage local populations to remain and grow whereas spending on infrastructure where growth in population is strong only exacerbates regional divides. Public funding stops too soon. In the USA, government funds may not only support development of a prototype, but help finance a ‘half-volume’ manufacturing facility thereby helping to de-risk development. During war or when there is an important objective to achieve, technology development is accelerated. Examples include the Space Race under the Kennedy administration, or the ‘Man to Mars’ mission today. Creating conditions of urgency by giving a prize can help to stimulate technical solutions. A fifth factor David could add to his list of four targets for the industrial strategy, offered one guest, is the promotion and celebration of what is being achieved: this will also help to ‘activate’ the next generation to be more involved. At Harwell for example they receive £260mil from government, but their marketing budget is an infinitesimally small part of it. David explained that there were some restrictions on the use of PR by government bodies and agencies due to an earlier misuse of funds for lobbying. Another member pointed out the effectiveness of Challenge Awards which DARPA runs in the USA. These had stimulated research in fields such as autonomous driving for a relatively small outlay of $1mil per award. Dr Penny Wilson from Innovate UK explained the £10mil Longitude Prize, which Innovate UK is offering for a diagnostic test that decreases the over use of antibiotics. The Prize is not limited to citizens of the UK and Penny had been promoting it recently on a visit to India she said. Gordon Sanghera said he was unconvinced about the effectiveness of the Prize: one, because the entry conditions were restrictive; two, because Oxford Nanopore’s focus is on getting to market, therefore competing for a prize might be a distraction rather than a stimulant (at least in their case). He acknowledged that Prizes are good for lighting a beacon and raising awareness, but in Oxford Nanopore’s case, he said starkly: “We are at war, and haven’t got time”. Gordon’s sense of urgency is a theme I hope we will pursue in 2018 through our dinners! A round of applause for the Society’s seasoned entrepreneur and Chairman, Michael LeGoff, founder/CEO of Plessey Semiconductor. He laces an introduction to Lord Willets with a powerful campaign-style call to arms. We learnt that David has been invited to join the board of the UKRI (UK Research and Innovation) the new body that merges the Science Councils and Innovate UK into one body. He will therefore have a better opportunity to put forward the sort of points raised at our meeting. Noting his appointment, one member commented there was disappointment among his industry colleagues that the makeup of the UKRI board is weighted to life sciences to the relative exclusion of fields like automotive and aerospace. David’s concern he added in reply is that the UKRI should not be too centralised since he believed the research councils had the confidence of universities, as did Innovate UK with companies. Attracting quality staff is a serious issue said another member, especially in places like Cambridge where demand for talent is strong and BREXIT only makes it harder. David agreed and therefore there needs to be freedom of movement for researchers. David continued that while having voted to remain part of the EU, he also sees that BREXIT offers an opportunity to address issues in the education system in a fresh way. For example, in respect of the lack of home-grown scientific talent. Under the current system if a student wants to enter a good university to study Physics it is necessary to have Math and Physics at A Level. However, said David, only 4% of 16 year olds elect to study these subjects at A Level while in other countries, as much as 100% continue to study Math and Physics beyond 16, only they don’t study to such an advanced level, because they defer their specialisation to later. The requirement to specialise at 16 also exacerbates the gender imbalance in science and technology subjects at university as most girls who are interested in science at 16 have in mind medicine as a longer term career choice and therefore drop Physics in favour of Biology. Thus early specialisation removes the choice to study a Physics based subject later. David had much to say about education, unsurprisingly since his book, ‘A University Education’, was about to be published. 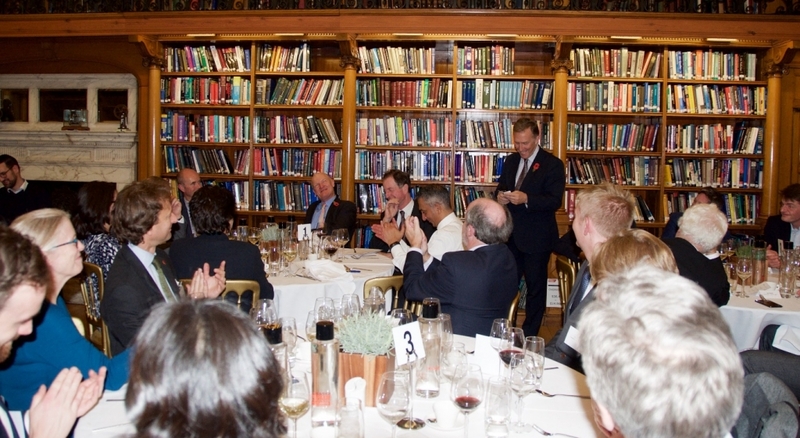 He had bought with him a pile of sales leaflets, and as the good sense of what he had to say about education during the discussion registered with increasing force, Michael LeGoff passed out the leaflets to the evening’s guests with growing enthusiasm. 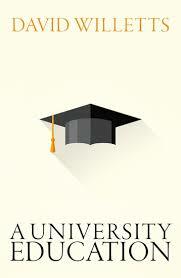 According to the publishers, the book links the university to the rest of the education system and argues that the three years at university are at least as transformational as the child’s first three years and makes the case for the growth both in the number of students and universities. Bearing in mind David’s Cabinet minister responsibility for universities and science and continuing involvement as a Visiting Professor at King’s College and Honorary Fellow of Nuffield College, Oxford, and his comments during the evening, I will place my order on November 23rd when the book is published. 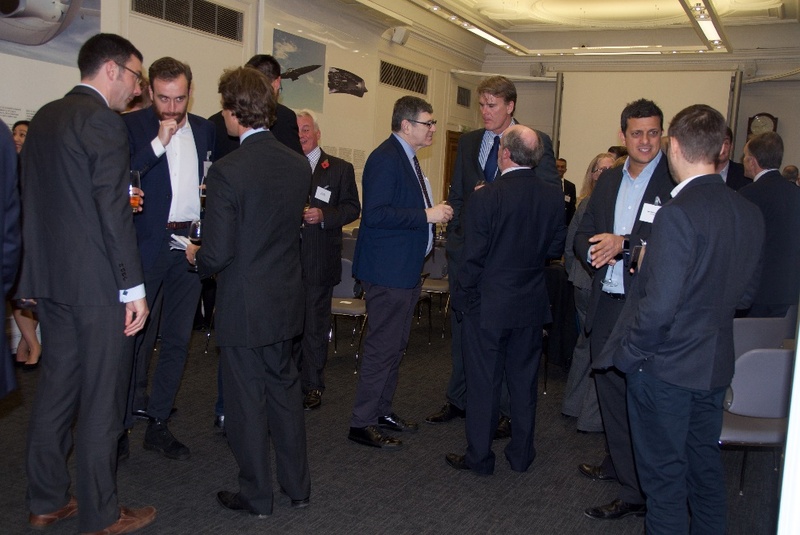 The evening followed the standard Bessemer format where we have networking and self-introductions before dinner. The Self-Introduction provides an opportunity for selected companies to bring us up to date with what they are doing in the expectation that others in the room may be able to offer suggestions or want to follow up later.